If you have ever wanted to use WiFi reliably in your own home, most homelabbers and computer enthusiasts will eventually learn that using consumer equipment to achieve fast speeds and low ping can be a route that many take in vain, whilst mesh networking appliances look promising for home applications, the ever vast expanding market of power-line networking adapters and WiFi range extenders have lead consumers astray and often leave them unhappy with their network performance due to patchy and inconsistent behavior caused by devices looking for the ‘strongest’ signal despite it not necessarily being the fastest or most optimal. 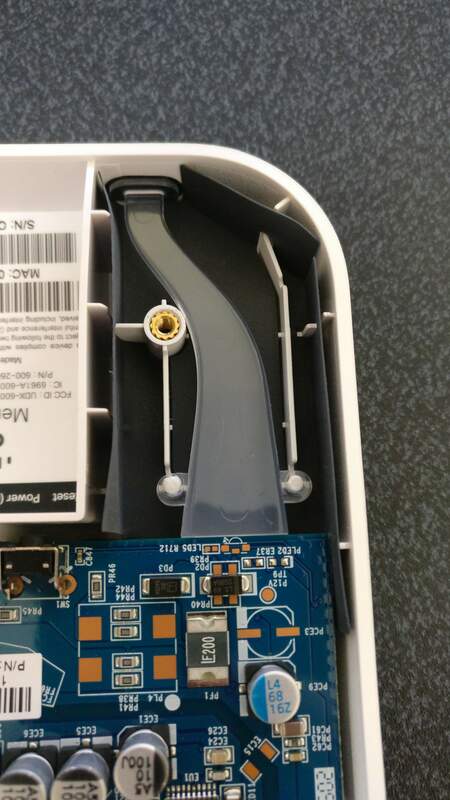 Having an ISP issued router has never put me off fiddling before, having being issued a Netgear WNR3500L V2 it wasn’t long before I decided to flash Tomato on it and leave Netgear Genie hopefully forever. Having moved on with my life I quickly became unhappy with the performance of the WiFi and decided it needed sprucing up a little bit, running two routers on two sides of the house were becoming tiresome due to patchiness and being connected to one side of the house while at the other requiring manual adjustment. It was time to buy something enterprise to set-and-forget. Alas enterprise comes with a hefty price tag. 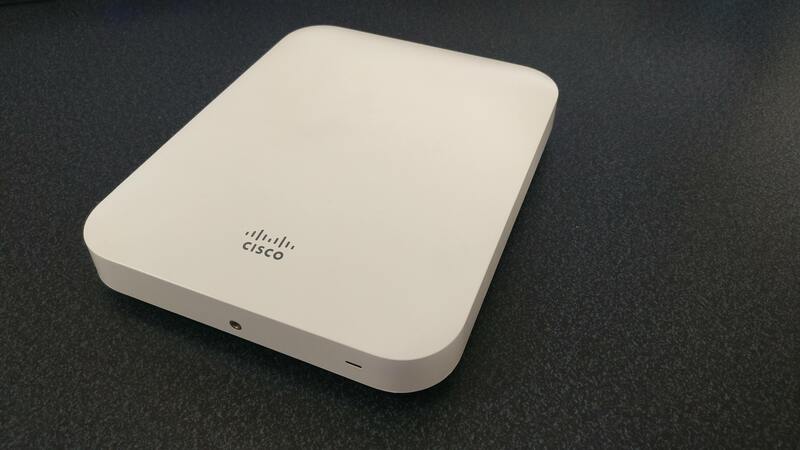 Rather than going mainstream and buying something like Ubiquiti or MikroTiK, popular routers with the home lab community. I decided to take a different approach to save a buck. 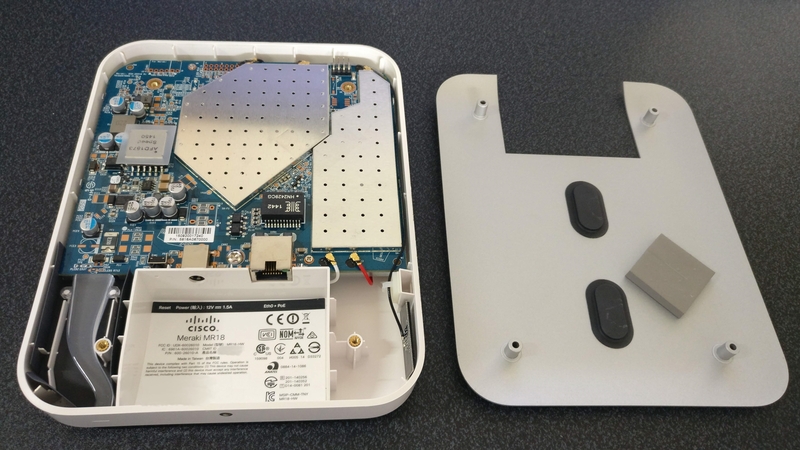 Having flashed firmware on many devices in the past, such as Arduino, ESP8266s or even other routers I decided to get my hands on the enterprise CISCO Meraki MR18, a subscription model router with a hefty price tag at the current time of £308.38 for a three-year license. Would I be paying that? Absolutely not. I picked one up off eBay for a fairly high market price of £17.99 which came with a wall bracket and no plug or license. Why so cheap compared to the £308.38 price tag? Well, it turns out Meraki are giving them away free to anyone who sits through their webinar, and once the license runs out it’s my understanding that they essentially become paperweights. Once it arrived I fired it up just to see what it used to be called and see if I could get a hit on WiGLE’s database to see where this thing came from, unfortunately, 0 hits means my best guess is that it came from somewhere around Aylesbury, UK. The location of the Ebay E-Recycler the SSID was generic “Guest Access” and “Staff Internet”. Once I cleaned up the router it looked brand new, the power cable I got from my drawer of many cables and began to study the thing, the brushed aluminum backing had the screws hidden behind rubber feet, an easy adversary I had the thing open in no time. I particularly like the bendy lightpipe for the RGB leds. 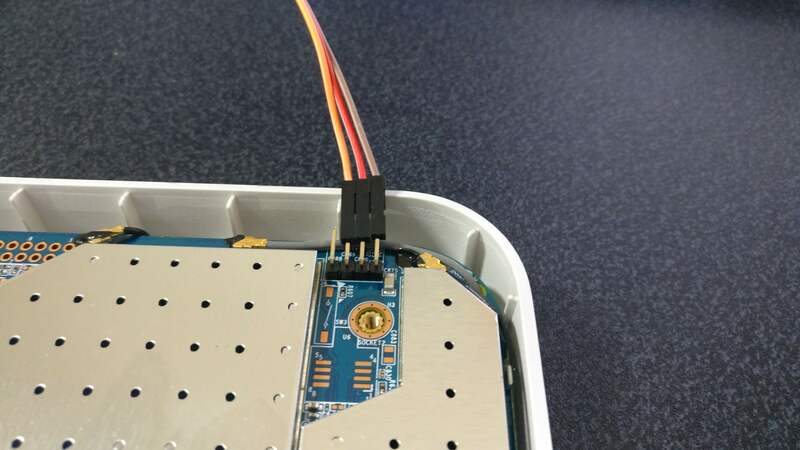 The UART pins were neatly placed and populated with pins at the top of the AP and easy to flash with. I decided to opt for flashing OpenWRT on to it, basically because at the time they were the only ones supporting this particular device and it would only really be acting as an Access Point, with my Tomato router doing all the hard work. Thanks for reading. 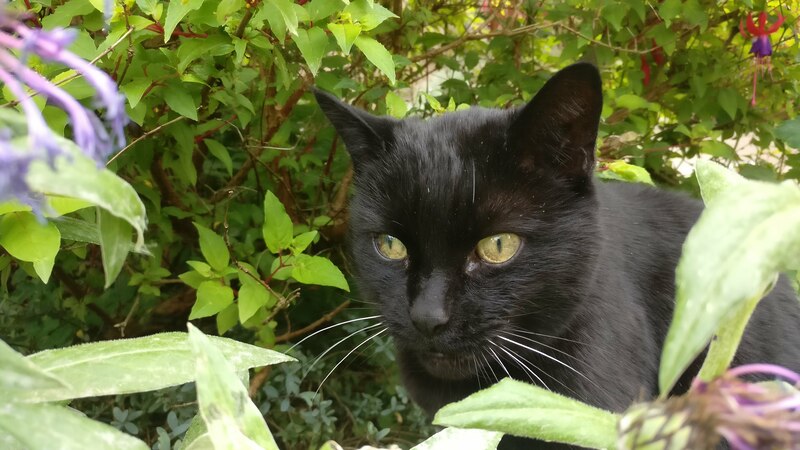 Enjoy this picture of my neighbors cat.